A fashion post! Finally! I feel like it’s been forever since I’ve written one, and to be honest, I’ve missed them! Between some blogging obligations to brands and the craziness of all the fall and Christmas decor posts and hops, it was difficult to fit them in. 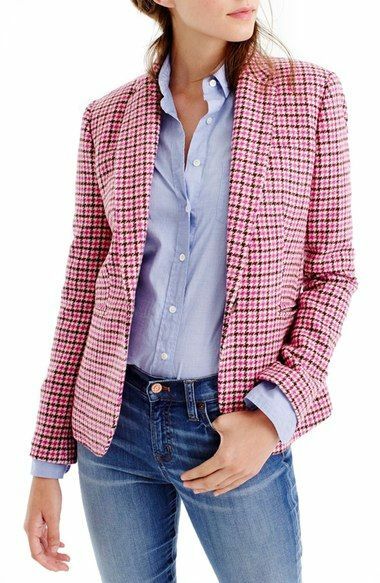 But today I wanted to talk about a wardrobe staple that I absolutely love: the plaid blazer! I’m a blazer lover in general (as anyone who knows you will tell you!) and the classic plaid or checked blazer is one that I turn to again and again. 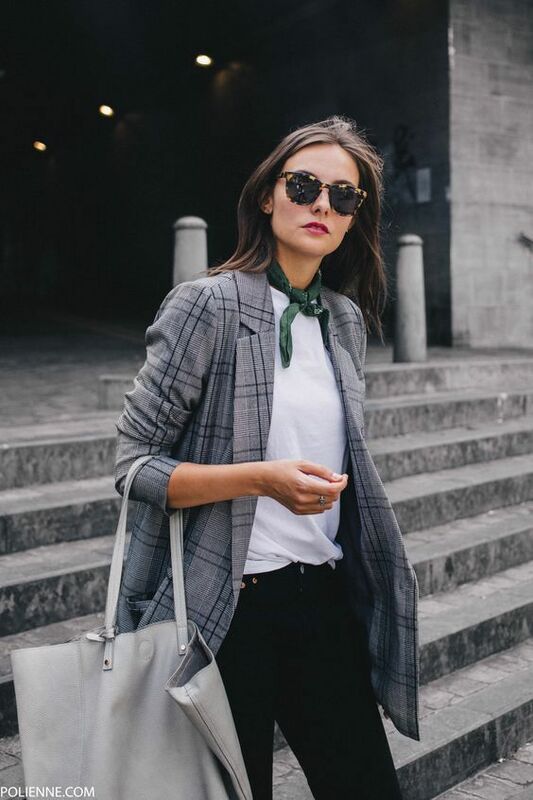 Whether you combine it with jeans for a casual chic vibe, add it to a skirt for an elegant look, or rock it with other patterns for a funkier look, the plaid blazer is a must for any wardrobe. They are a natural choice during the fall and winter months since most of them are made of nubbier wool and are a warmer choice than a blazer made of linen or cotton. We’ve all seen them worn in the traditional, conservative way, of course, but they can also be dressed down or modernized and that’s when they really shine. Love this look so much! Casual, but chic. 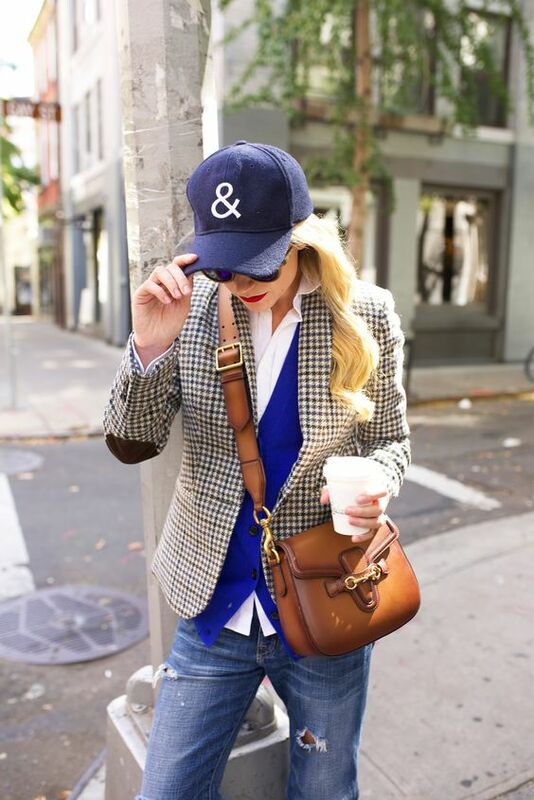 The glen plaid blazer is combined with just a simple white tee and those fabulous boots! Via The August Diaries. A more colorful plaid blazer in bright blue tones is so cute for winter with a cable knit sweater. Via Hello Fashion Blog. 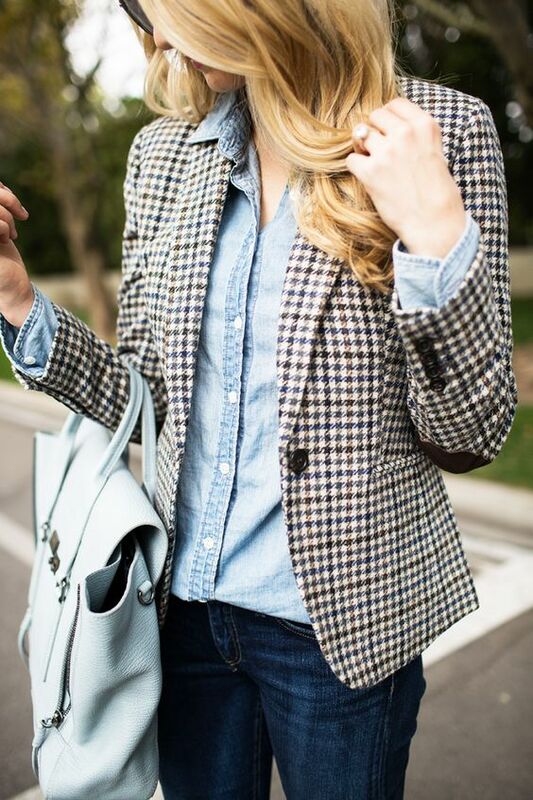 This tweed checked blazer with a denim shirt is casual perfection! Via The Ivory Lane. I’m loving this funkier version! An 80’s style double-breasted jacket combined with ribbed hem jeans and those amazing shoes! Via Alice Catherine. And the classic J. Crew version! J. Crew makes some of my favorites, and they always combine them in unique ways. The yellow sweater and leopard pumps add an unexpected punch. Via J. Crew. And of course, it’s a natural and classy business choice with a skirt. Via Vogue Mexico. Just so cute! This is how I would wear it! Via Fashion Jackson. Here this blue one with white slacks makes a great transition in cool spring weather. Via Memorandum. How cute is this pink version?! Via J. Crew. It can even work for weekends with a baseball cap and sneaks! Via Atlantic-Pacific. I love that they are perfect for so many events and look good in so many ways. They add polish, and panache, but can still be casual when you want them to. And there are few things you could buy that will give you the mileage a good plaid blazer will! If you’re looking to get one, here are some favorites below….